CHRISTIAN Standhardinger has apologized for accidentally kicking Calvin Abueva in the groin area that led to his ejection during the second quarter of Game Two of the PBA Philippine Cup semifinals. The San Miguel Beer big man was thrown out after being slapped with a flagrant foul two for kicking Abueva in the groin during a fierce battle for the loose ball with 6:10 left in the second quarter. The Fil-German forward was adamant Abueva 'flopped' in the play, but later admitted he accidentally hit the Phoenix bruiser in the groin area as he tried to wriggle free from the loose ball scrum. Abueva said “no comment” before walking away after being pressed for a reaction by a throng of reporters waiting for him at the hallway of the Smart-Araneta Coliseum. Standhardinger said he accepts the decision of the referees to eject him from the match. “That’s what happened. Obviously, it’s a tough call. F2. 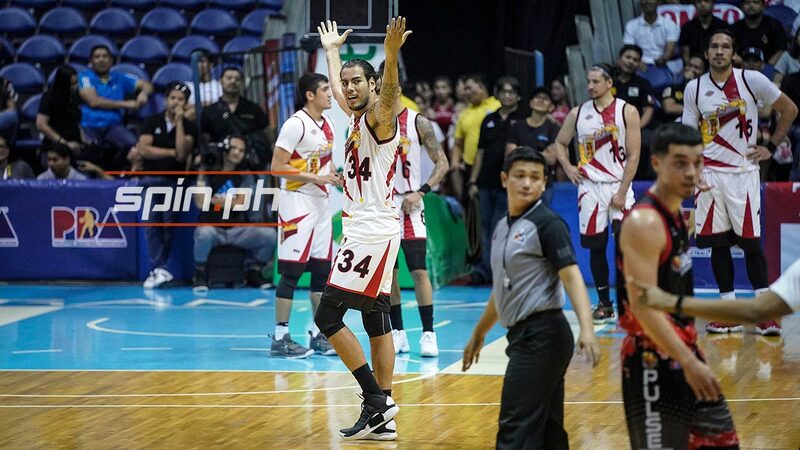 When the refs call that, it’s how it is,” said Standhardinger. The Fil-German said he has no hard feelings against Abueva, who was also hit in the face by Standhardinger’s foot when the two fell to the floor. “He played hard and accidents happen. He is going to keep on playing. There is nothing personal," the Team Pilipinas mainstay said.